The Drafter is book one in The Peri Reed Chronicles series. I've been a fan of KHarrison for quite awhile now, and had to pick up the new series since her Rachel Morgan series came to an end last year. I haven't read the novella that takes place before this book, though I've heard it takes place 5 years before book one and the main character is different. Peri Reed is a drafter, she's able to rewind a tiny bit of current time and change it how she deems fit. It's not all fun and games with this power though. 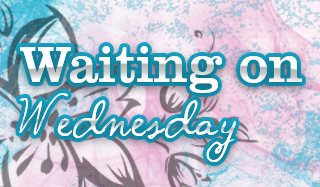 When Peri drafts, she loses bits of her recent memory and relies on her anchor to rebuild those memories. The longer she drafts, the longer the memories that go missing. When the book opens, her anchor is her lover/boyfriend, Jack Twill. They're on a mission which goes a bit awry and Peri finds out that Opti, the government company she works for has corrupt agents that are doing unsanctioned jobs for the highest bidder. Her name is on that list, and she knows that even with missing memories, she can't be a corrupt agent. Her mission from that point forward is to clear her name and survive. I liked that it wasn't just about the Opti agents in the book. There are also members of the Alliance that are set on taking Opti down. It added a bit more drama while reading and a ton of twists and turns that leads Peri along her journey. The Alliance's goal is to expose there are rogue drafters and/or anchors in the corporation. All they need is a list of the corrupt agents and they'd do anything to get their hands on it. 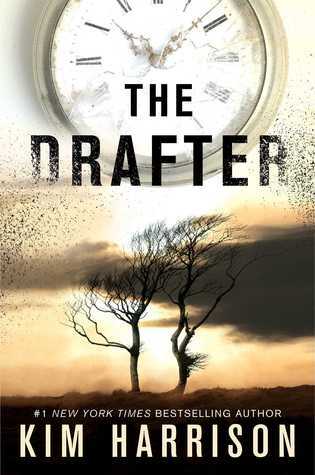 The Drafter is a promising start to a new series that I couldn't put down. I recommend it to anyone that likes slightly futuristic reads with strong female leads. Oh and if you like a book with people trying to take down the government that's a plus too. *I received a complimentary copy of this book via the publisher for an honest review. I skipped your review because I'm currently reading it but I'm curious to see how it is in the end for me as well. No problem!! I was the same way :) Hope you enjoy! I looooove strong female leads and The Hollows, and I've already bought Sideswiped ^^ I'm glad you loved that one ! Ooohhh let me know how the novella is, please! I've heard so many great things about this! I need to read something from Kim Harrison. I really enjoyed this one as well. I think it is a good start to a series I am going to enjoy! I really want to try this one. I'm on the waiting list for the library for the audios. I wasn't able to get them for review. S&S is having issues. interesting and great review Mel! I like the drama of it and that the other side get story time too. But the whole turn back time a bit it intriguing indeed.